I purchased this as a presant for my naughty girl (and myself after my experiances with the e-box) It was ordered early on a Thursday morning and it arrived the following day. The packaging consisted of (in reverse order) foam around the A-box and accessories, this was placed inside a sturdy carboard box and then into a plain white plastic bag with the couriers details on. The contents of the kit are very well thought out, the instructions are written in plain english and very informative. With a mp3 player connect to it i had the pleasure of watching my little sub squirming as we tried differnt music styles (Missy Elliot to Tony Henry) to see what effect they had. But one of the most 'interesting' moments was watching the drag race at the start of 2 Fast 2 Furious! 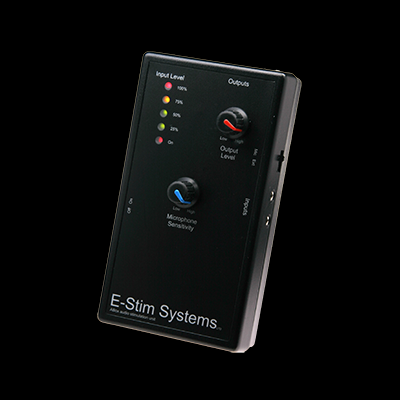 Well done E-stim for creating yet another fantastic piece of kit, i can't wait to try out the series 2!